Home History World World 2 Facts: Did You Know These 29 Interesting Details? World World 2 Facts: Did You Know These 29 Interesting Details? “Green Boys” was a term given to soldiers who enlisted in the US Army after the attack on Pearl Harbor during World War II. 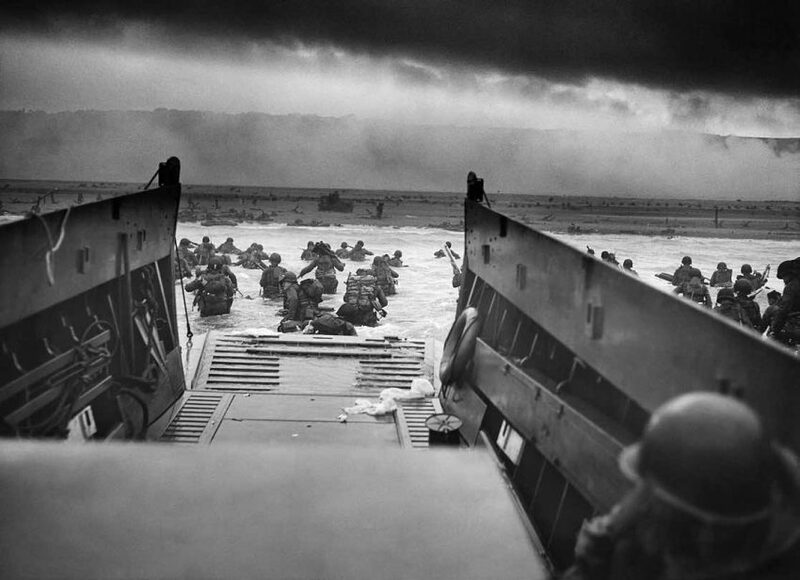 Eager to fight for their country, these men had no concern about what they would face when they made it to the front lines. One of these “Green Boys” was a young man by the name of Calvin Graham. 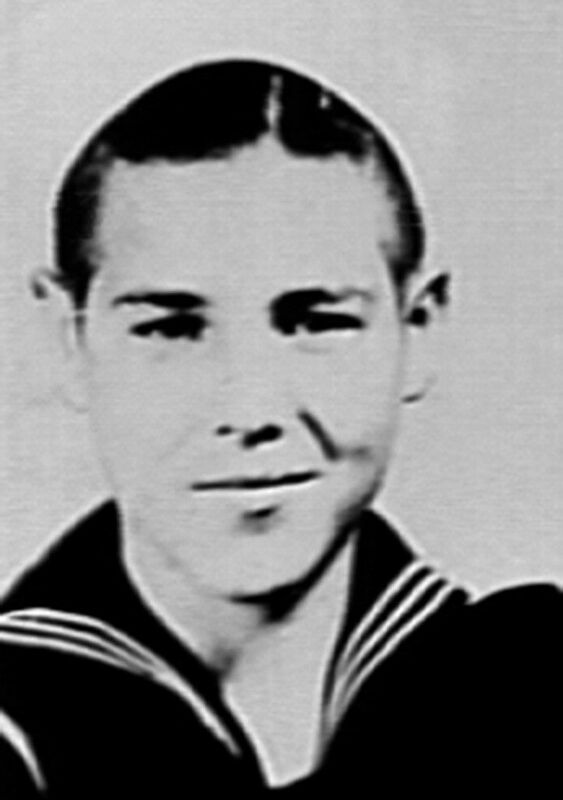 At the tender age of 12 he lied his way into the U.S. Navy, told his mother he was going to visit relatives, and boarded the USS Dakota headed into the Pacific. The USS Dakota became infamous because of a brutal battle with the Japanese. Additionally, for the incredibly brave men aboard who would bring it home. Graham received a serious jaw injury from shrapnel during the battle, but the courageous young man wouldn’t skip a beat. He helped his fellow injured soldiers with whatever they needed. Upon returning home, Graham received a Bronze Metal and a Purple Heart for his injuries. 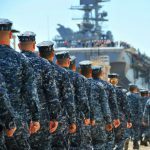 However, they were stripped and he was given a dishonorable discharge once his mother revealed to the Navy his actual age. In 1978, President Jimmy Carter signed a bill to return his decorations and an honorable discharge. Two two Kuril Islands, laid claim to by both Japan and Russia. 48 nations signed the San Francisco Peace Treaty in 1951 which, among other things, ended the war between the Allied nations and Japan. It also specified Japan’s acknowledgment and acceptance of the judgments to be made regarding Japanese War Crimes against the Allied nations and restored Japan’s status as a sovereign nation. The Soviets did not participate in the Treaty, and Russia and Japan haven’t completed a peace treaty to this day. The Soviet Union objected to the terms of the Treaty at the time including who rightfully owned the Kuril Islands. Five years later, Japan and The Soviet Union signed a joint declaration which restored a diplomatic relationship between the nations and officially end the war. 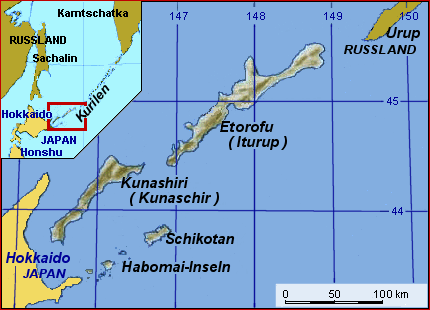 The proper ownership of two of the Kuril Islands was established in this declaration. However, Japan still believes two more of the islands should be handed over and an official peace treaty has never been completed. Military Machine compiled these World War 2 facts. 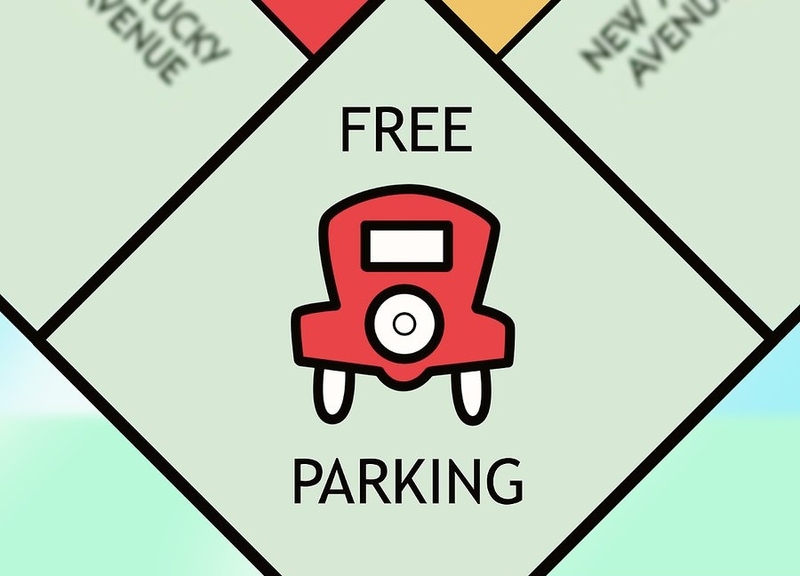 A red dot in the "Free Parking' space signified that the game set contained a map to help POW's escape. The Monopoly Game first appeared on the market in America in 1934. It is a symbol of of the American way throughout its history. When World War II threatened democracy, Monopoly came into “play” in an unexpected way and from an unexpected source. Thanks to the Geneva Convention, Germany accepted care packages for the Prisoners of War it acquired throughout the war. These packages were then distributed by organizations such as the Red Cross. The Allies used this to their advantage by stocking the care packages with Monopoly games that were essentially escape kits in disguise. The British Secret Service (M19) and the United Kingdom Licensee of Monopoly, John Waddington, Ltd., got together to create ways to surreptitiously include items that could lead to successful escape. Each Monopoly kit contained a compass and metal file disguised as playing pieces. Additionally, German, French, and Italian bank notes hidden under the Monopoly money, and a silk map concealed in the playing board itself. The Royal Air Force were told what to look for on the Monopoly packages should they be taken prisoner. The key: a small red dot on the Free Parking Space. The term “The Third Reich” is often associated with Hitler, the Nazi Party, and World War II. But it wasn’t Hitler who coined the term or the idea at all. 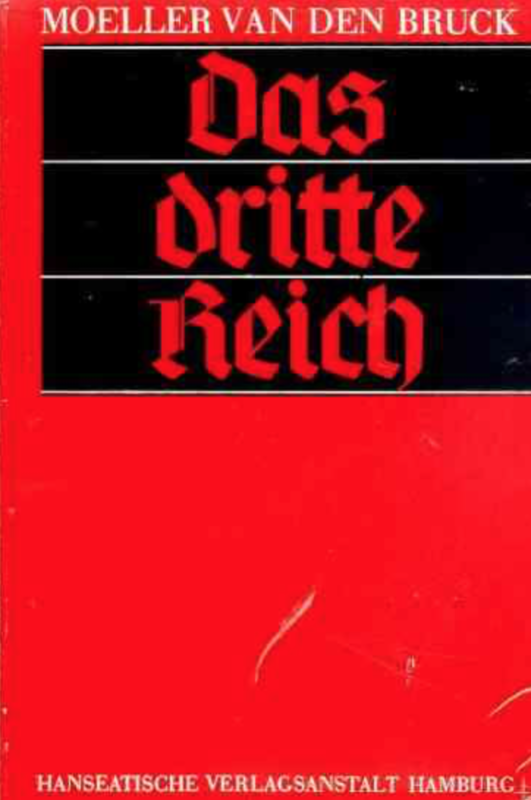 The ideology of the The Third Reich was first put forth by German author Arthur Moeller van den Bruck in his 1923 book, Das Dritte Reich (German for The Third Reich). In the book, Moeller identifies Germany’s downfall as the Weimer Republic, which encouraged a political system with competitive parties and allowed the flow of liberal ideologies. He takes cues from the First and Second Reichs which he believed lacked certain characteristics to achieve Germanys ultimate potential. He most admired Benito Mussolini and found it of extreme importance to have a strong leader in place. Both socialism and nationalism would play key roles and the philosophies of Nietzsche are prominent. The Nazi Party would be strongly influenced by Moeller’s work as is evident in the use of its namesake in history. 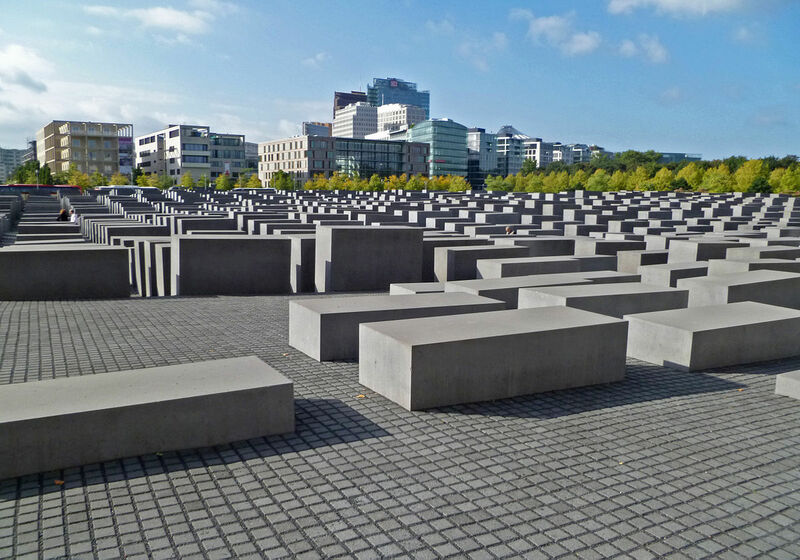 In 2003, a memorial was built in Berlin to honor the Jewish victims of the Holocaust. The “Memorial to the Murdered Jews of Europe” was designed by American architect Peter Eisenmen and features 2,711 large gray slabs of concrete of varying heights in rows covering over five acres of land. Intentionally designed to allow only one person through the rows of monuments at a time, the memorial forces its visitors into a personal and restrictive experience. It was important that the integrity of the memorial remain intact which is why its design included the addition of an anti-graffiti chemical to make cleaning vandalization relatively easy. The company that provided the chemical coating is Degussa, which also happens to be the parent company of Degesch, the supplier of Zyklon B hydrogen cyanide gas pellets used in the Jewish extermination camps during WWII. When construction of the memorial was in full swing, news of this sinister connection broke and there were heated debates on the subject and whether or not to find a new supplier. Degussa was eventually kept as the choice for the job, but the irony is still unparalleled. Portrait of Sir Adrian Carton de Wiart. 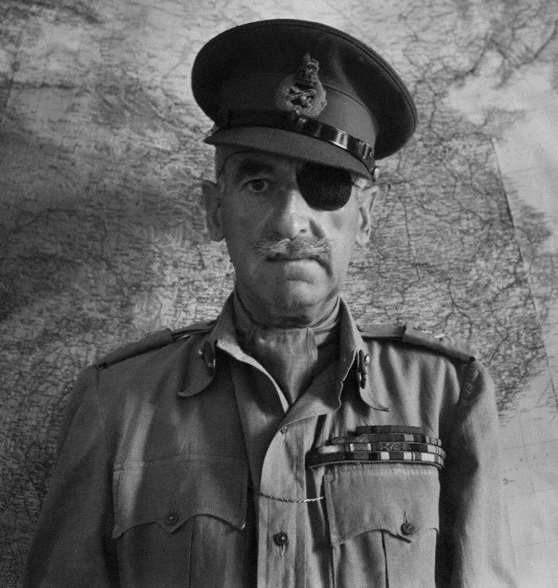 Adrian Carton de Wiart’s life story is almost unbelievable. His love of fighting in the front lines has become legendary, and for good reason. Carton de Wiart successfully fought for the British in three wars – the Boer War, World War I and World War II – and sustained serious injuries in all of them. In World War I alone, he received eight severe injuries including the loss of his left eye and his left hand. It is reported that after his hand was shattered during a the Battle of Ypres, Carton de Wiart tore off his own two fingers when the doctor would not amputate them. His injuries would never slow him down for long, and when WWII broke out, he briefly led troops in Norway and was then sent to Yugoslavia to form a British military mission. His plane was shot down over the Mediterranean on his way there which he, of course, survived and swam himself to shore. It was there that he was taken prisoner by the Italians and made numerous attempts at escape. He was eventually released and Winston Churchill promptly sent him to China to serve as his personal representative to Chiang-Kai-Shek. Churchill was especially fond of Carton de Wiart, even writing the forward for Wiart’s autobiography. 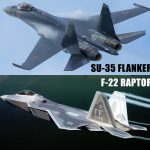 Military Machine compiled these World War 2 facts. 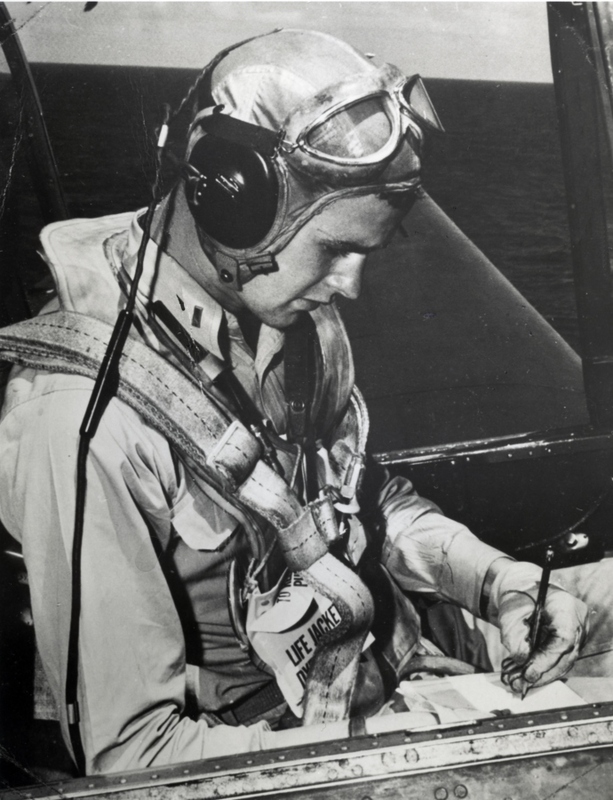 George H. W. Bush in the cockpit of an Avenger. Photo courtesy George Bush Presidential Library and Museum. 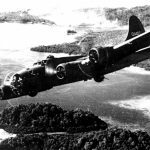 In September 1944, a group of American soldiers were in the midst of a bombing raid on a very small island in the Pacific called Chicha Jima. The Japanese were engaged in intense battle and managed to shoot down several of the American bombers. The pilot of one of those planes was former President of the United States, George H.W. Bush. Bush managed to get out of his plane and parachute into the ocean before getting too close to the Japanese island. 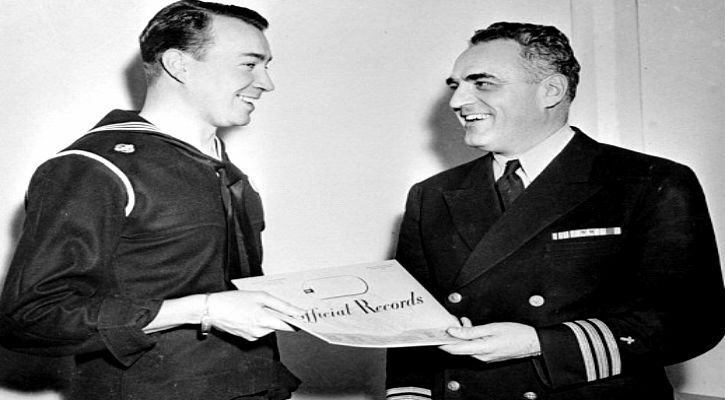 To his great luck, he was able to board a life raft and was picked up by a US submarine. Eight other bombers made it out of their planes but exactly what happened to them was unknown until the early 2000s. After secret files from the war crimes trials in Guam were released, it was discovered that the men were tortured, beheaded with swords, and in some instances, eaten by their Japanese captors. 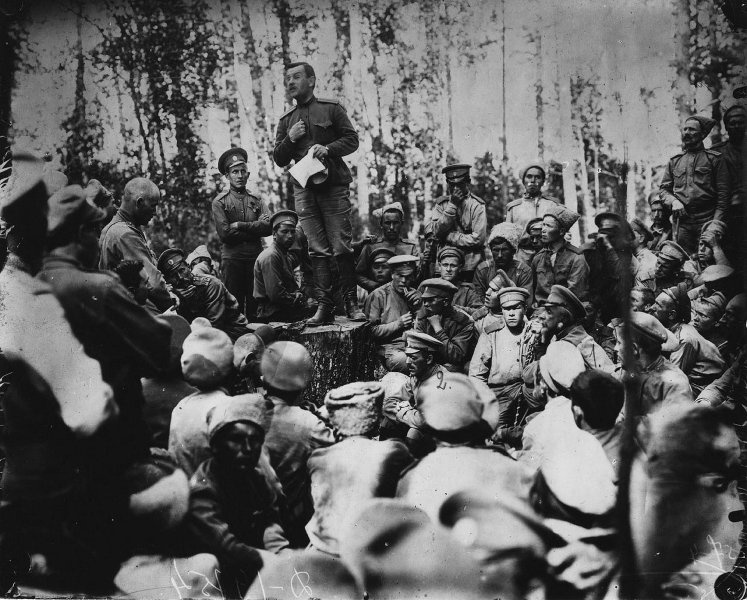 Meeting at the Russian army front before an attack. In an attempt to instill obedience and discipline into his Red Army, Joseph Stalin instated Order No. 227 which essentially mandated that under no circumstances should the army retreat, and that each Front would have a penal battalion ranging is size from 150 to 800 servicemen. These penal battalions would consist of anyone who violated the Order through cowardice actions or words and they would be placed at the front lines or would perform dangerous intelligence missions. The idea was that those who had disgraced their Motherland would attempt to redeem themselves with their blood. These missions included clearing minefields, testing enemy army power, crossing waterways without life jackets, and finding and revealing enemy locations. Over the course of the war, over 400,000 people were sent to the penal battalions and only a small percentage of these men would survive. Much like the Monopoly Escape Kit, the classic playing card company, Bicycle, was also willing to help get Allied PoWs back to safety. Known as “Map Decks”, these special decks were created with the help of American and British Intelligence to conceal a map of secret escape routes from German camps. 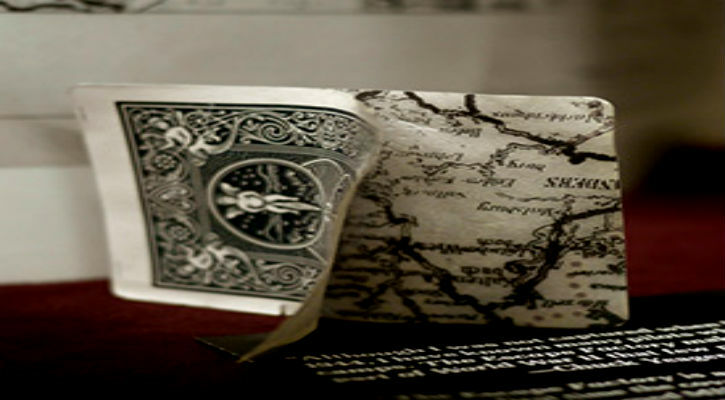 The cards would need to be soaked in water, allowing the two pieces of paper making up the card to come apart easily and reveal the hidden map. Allied PoWs in Germany received the cards in the care packages that they were able to receive thanks to the Geneva Convention and the establishment of standards of treatment for PoWs. The “Map Deck” cards were a closely guarded secret for years after the war was over to avoid any war crimes accusations. Only two decks are known to exist today. The Second World War caused large changes in production and commerce all over the world. Car manufacturers were churning out weaponry and military vehicles rather than cars, clothing manufacturers were making uniforms for soldiers, and the food industry was heavily impacted as well. Many crops and food sources were rationed which caused some ingenuity in creating replacements for foods not readily available during that time. Chocolate was one product that was rationed for Italians and when he found himself in need of chocolate for this pastry business, Pietro Ferrero (founder of Ferrero chocolate company) decided to create something new. 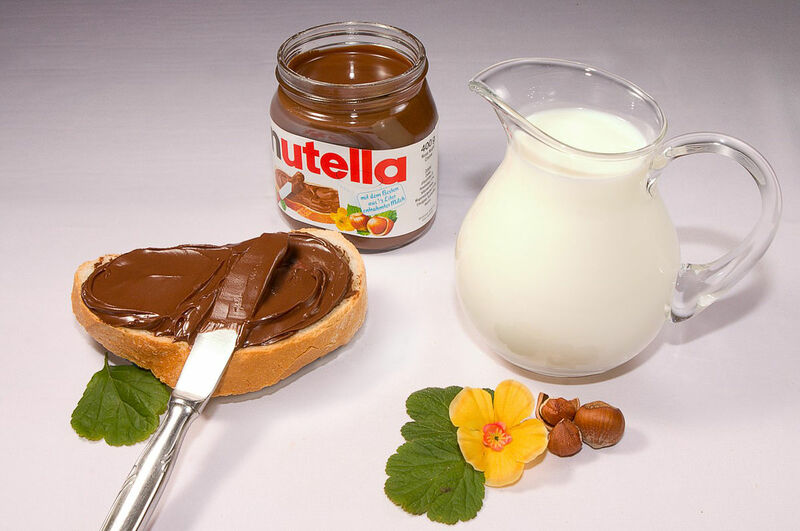 Knowing that hazelnuts were plentiful, he created a hazelnut based product that was sweet and cheaper than chocolate. It was first called “pasta gianduja” and was made in loaves to be sliced and placed between bread. He then changed the formula to a spread and created what we now know as Nutella. Military Machine compiled these World War 2 facts. Juan Pujol Garcia is known today as one of the greatest double agents to ever live. He was responsible for a lie that would change the course of the war. 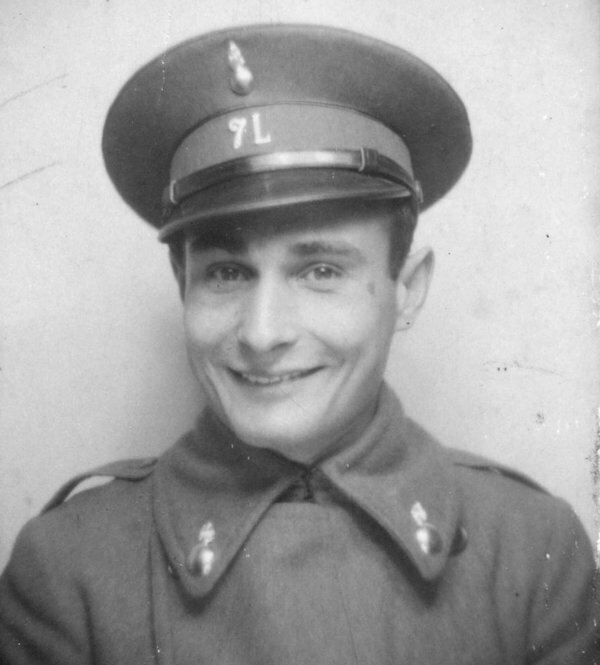 Spanish born Juan Pujol Garcia was not a great soldier or a particularly interesting individual at the start of his espionage career. He had no experience in the subject. But that did not stop him from approaching the British Embassy in Madrid to offer his espionage services against the Nazis. The British didn’t take a chance on this unsuspecting character and declined his offer. He decided to go to Germany and establish himself as a German operative. Once a German operative, he relayed information to Britain as a double agent. He was almost immediately successful and quickly became a trusted and valuable asset to The Third Reich. Britain soon noticed his skills and finally accepted him as a double agent after being tricked by him themselves. He fabricated larger and larger lies to the Germans, which eventually came to a head at D-Day. He told the Germans that the British formed a massive million-man army that would attack Normandy. But that there would be a fake attack first. He convinced Hitler to call off the troops headed to the beach. In doing so, changing history forever. Agent Garbo, as he was lovingly referred to, received decorations from both the British and the Germans. 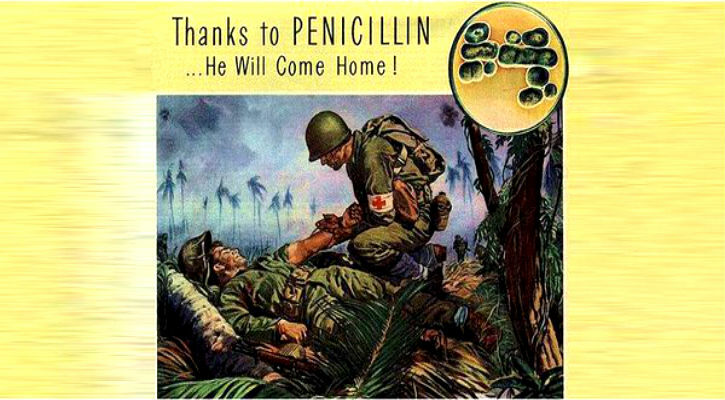 Penicillin was first discovered in the late 1920s but was not used in medically until 1940, making World War II the first war to be able to treat wounded soldiers with this life saving medicine. Manufacturing penicillin wasn’t an easy task, as the method at the time involved collecting mold cultures from Penicillium notatum. With demand for the drug skyrocketing as the war raged on, it was clear another production method would have to be created. It was then discovered that penicillin passes through the patient’s system and remains largely unchanged allowing the drug to be recycled from of the patient’s urine. As unappealing as it sounds, this was a huge medical breakthrough that allowed production of penicillin to meet the extremely high demand during the war, helping to save the lives of thousands of soldiers. Some of the most vulnerable targets for bombing during times of war are a country’s historic landmarks. The British feared that the Germans or Japanese would target the Taj Mahal in India, and decided to take measures to disguise the massive structure as something less valuable. 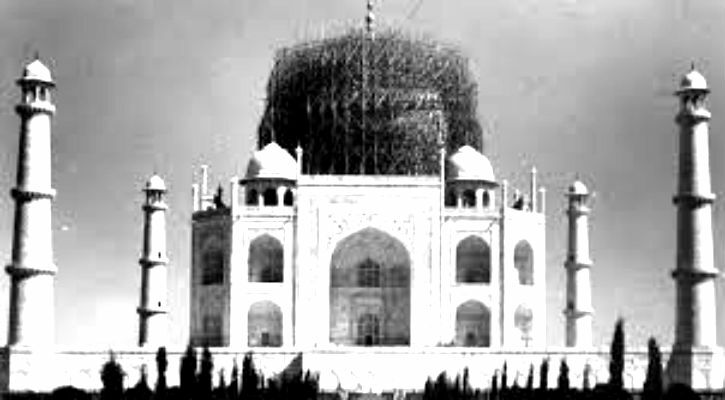 A plan was devised to stack bamboo scaffolding around the dome of the Taj Mahal to create the illusion of a bamboo stockpile rather than the 7th Wonder of the World. While it may look like this wouldn’t be effective, keep in mind the technology during this time was far less sophisticated and these planes were miles high in the sky. The Taj Mahal would again use this tactic for disguise during their war with Pakistan during the 1970s. Luckily, this beautiful landmark still stands untouched by war today. 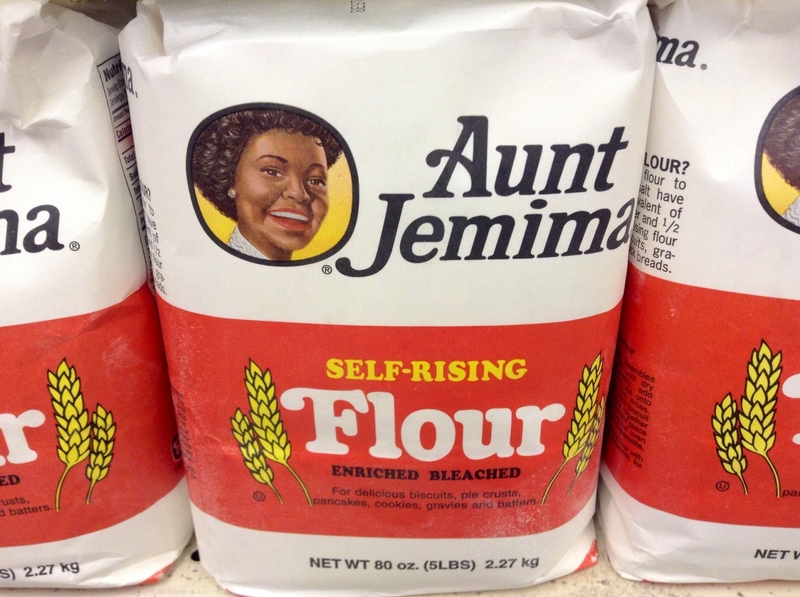 Aunt Jemima is widely known today as a delicious pancake flour and syrup brand sold in supermarkets everywhere. The name had a slightly different connotation if you were in the US Military during World War II. In an effort to provide the anti-resistance Chinese fighters an unsuspecting explosive weapon for use against the Japanese, soldier-chemist George Kistiakowsky developed a substance that looked like flour, baked like flour, but could also explode like dynamite when given the right accelerator. The concoction would be named “Aunt Jemima” and it consisted of baking powder and HMX, a strong explosive compound. The explosive could even be ingested, although it wasn’t suggested. Throughout the war, 30,000 pounds of “Aunt Jemima” was sent to China which all passed successfully through Japanese check points without discovery. Military Machine compiled these World War 2 facts. In 1942, Polish prisoners were released from Soviet Siberian labor camps and were headed back to Persia where a new Polish Army was being formed. On their journey back, they acquired a bear cub from a trade with a shepherd in the mountains of Persia. 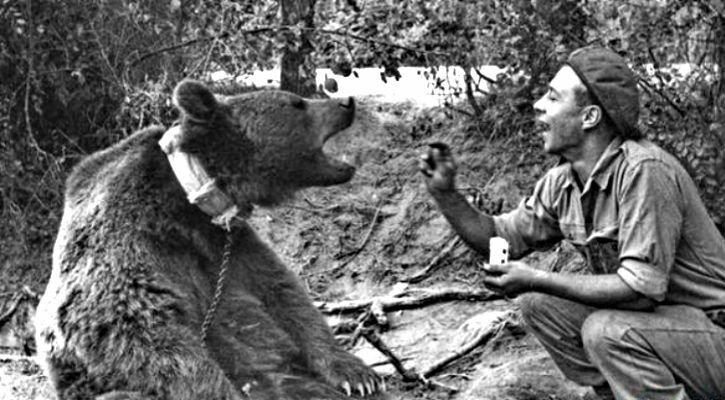 The soldiers named him Wojtek and hand raised the bear, even bottle feeding him in his younger days. He spent most of his time with the 4th Platoon and had two men who became his main caretakers and best friends. It is said that he ate everything the men ate and even came to enjoy beer and cigarettes with his buddies. As they approached Italy, they realized that Wojtek would not be allowed to join them as animals were not permitted in fighting areas. In order to get him into Italy with them, they assigned him his own serial number, rank and pay book and were able to get him in with little issue. During the battles in Italy, he actively participated in fighting, helping the men with tasks of all kinds. After the battle was over, the official badge of his company bore his likeness. Wojtek would go on to retire at the Edinburgh Zoo where he was a beloved figure to the public. The Soviet Union experienced a different kind of war than America and the majority of Europe. 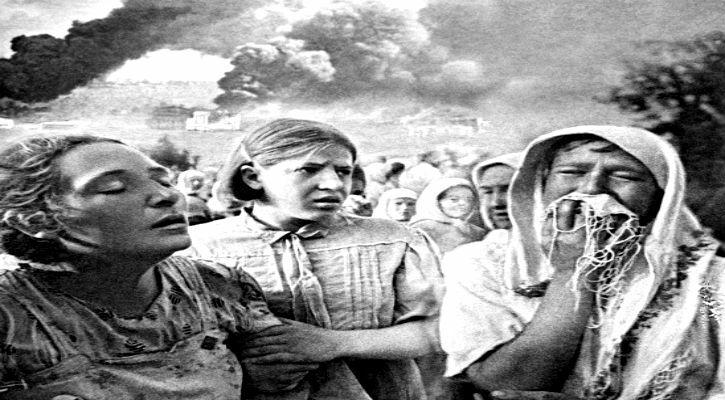 Hitler’s invasion of the USSR was strategically planned with the idea of extermination rather than to conquer. This was due to his disdain for what he called “Slavs”, or anyone east of Poland. He believed this area should be cleared out in any way possible to give the Aryan race more land to spread out. He gave his generals the order to kill all communists, educated people, and resistors, and to cut off the sources for food and power to its people in an effort to starve the rest. Livestock and crops were stolen from the Soviets by the German Army to feed themselves and their horses. In addition to the 11,000,000 soldiers the USSR would lose in the war, they would also lose around 20,000,000 civilians to starvation and malnutrition. Compare this to America’s loss of 400,000 soldiers and almost no civilian casualties. America and the USSR had roughly the same population at the beginning of the war. Rare color photograph of olive-drab painted B-29 Superfortress. 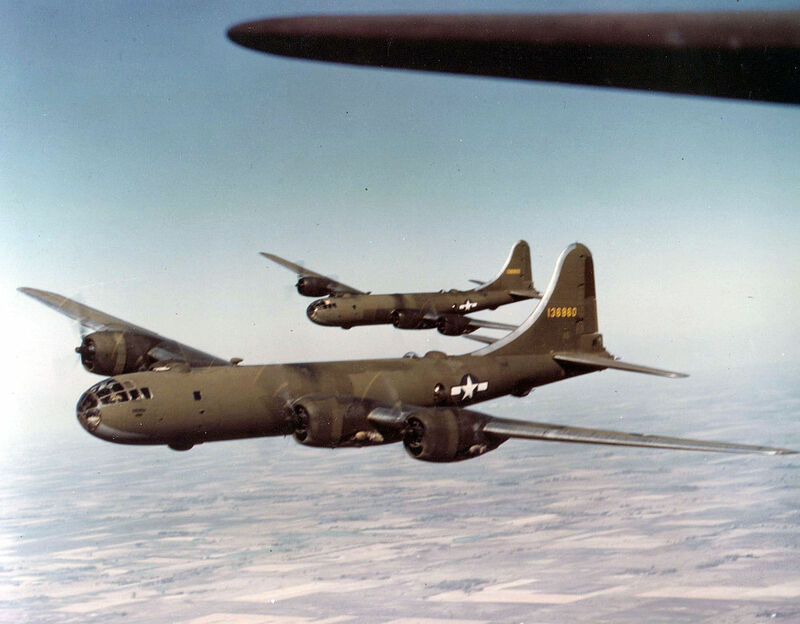 B-29s were used heavily throughout WWII. 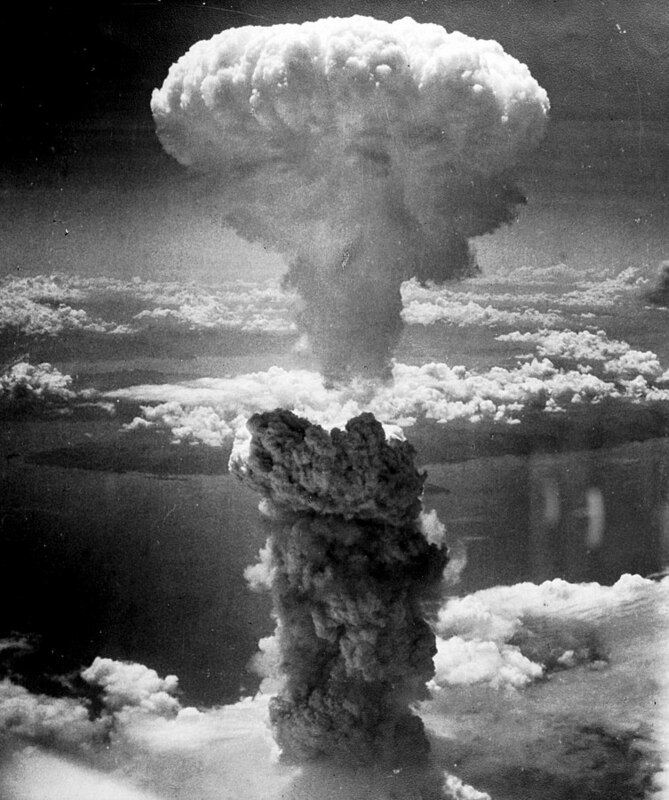 The atomic bombings are typically what is remembered most from our time Japan during World War II. But there was another catastrophic event that took place who’s memory has faded in the years since the war’s end. In March of 1945, the US began a bombing raid over Tokyo that would turn the city into rubble. While fire bombing was relatively common place during the war, several aspects of this particular event make it a unique and especially brutal raid. The sheer amount of area that was covered in this bombing was much larger – around 15 square miles – and the planes carried a total of around 700,000 bombs. The type of bomb was a M-69 which was essentially a pipe full of gasoline jelly enhanced with napalm. Napalm burned hotter and was harder to extinguish and each M-69 would send oily fire bombs hundreds of yards in every direction, engulfing everything it touched. The result of the raid killed roughly 100,000 people, about the same amount as the atomic bombings that would hit the country soon after. The question of whether professional sports should continue during time of war was on the minds of all of the heads of American sports in the early 1940s. After Roosevelt expressed his support for continuing American sports in a letter to Major League Baseball’s commissioner, all other sports followed suit. The problem they ran into, however, was how many players and staff the teams were losing due calls to service. By 1943, around 600 team members and staff of the National Football League were enlisted into military. The Cleveland Rams had lost the majority of their team and suspended their season, leaving an uneven number of teams in the League. 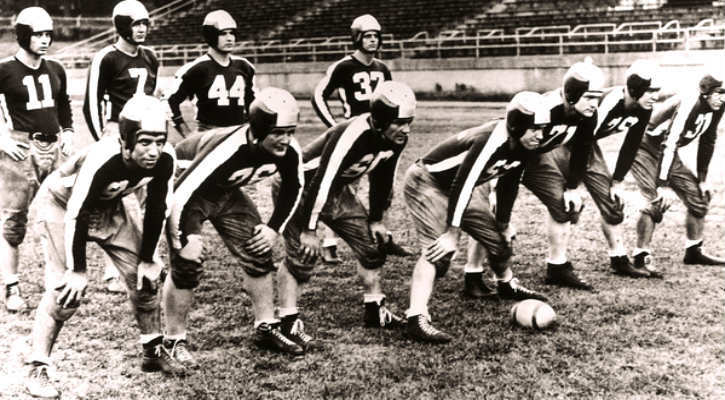 That’s when two rivals were combined to make a new team – the Pittsburgh Steelers and the Philadelphia Eagles formed “The Steagles”. The roster consisted mainly of military draft rejects and many faced ridicule for not serving his country. But, in the end they had a winning season and game attendance was at an all time high. The merger was disbanded the following year. Military Machine compiled these World War 2 facts. The most famous Recruitment Poster from WWII. 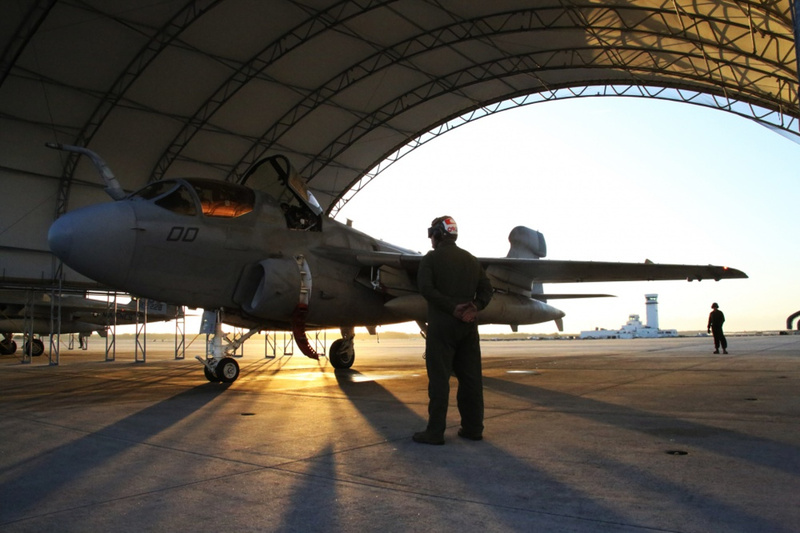 Before World War II, The United States was not the military leader like we know today. In fact, in 1939, when England declared war on Germany, the US Military was ranked 19th at roughly 174,000 members, smaller than Portugal’s. It wasn’t until Franklin D. Roosevelt came into leadership and decided it was time to build that military up that this would all change. 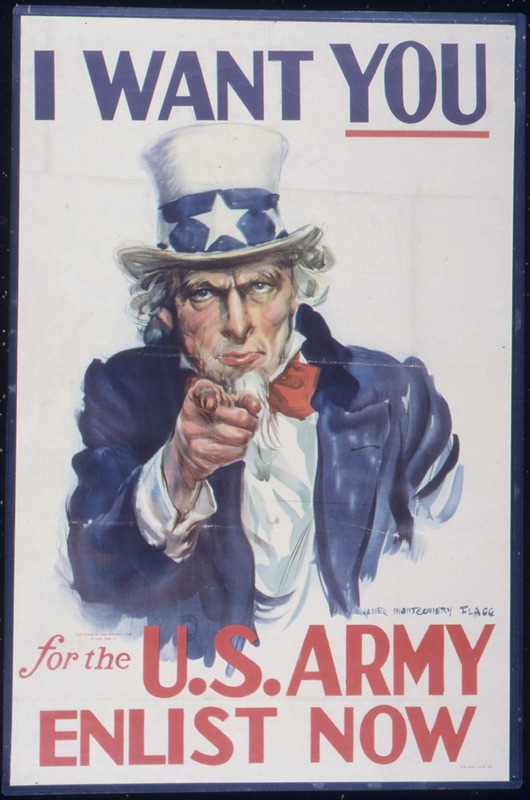 By 1945, the number of active-duty soldiers would be over eight million, the largest military build up ever recorded. Mushroom cloud above Nagasaki after atomic bombing on August 9, 1945. Taken from the north west. In the early 1940s, nuclear scientists in nearly all of the participating countries at war were hard at work developing new weapons of mass destruction. German scientists had already discovered the phenomenon of “fission” which, once the word got out, got the wheels spinning for American and English scientists and their soon to be discovered plutonium. In 1941 at the University of California at Berkley, chemist Glenn T. Seaborg and his colleagues officially created the plutonium-239 isotope, changing the nuclear weapons arena forever. This discovery had to be kept extremely secret due to the sheer power it possessed. Plutonium-239 could split more neutrons than uranium 235 and effectively created a more efficient atomic explosion, information the Axis would love to get ahold of. Therefore, it was given the code name “copper”. This caused some confusion when actual copper was needed, so real copper was to be referred to “honest-to-God copper”. A group of U.S. schoolchildren performing the old-style, however, not following the instructions: "At the words, 'to my Flag,' the right hand is extended gracefully, palm upward, toward the Flag, and remains in this gesture till the end of the affirmation; whereupon all hands immediately drop to the side." The Pledge of Allegiance dates back to the late 1800s, although there have been several amendments throughout its history. One of these changes included the accompanying gesture that was routinely displayed when reciting the patriotic expression. The Bellamy Salute, as it was called, was named after the original composer of the Pledge, Christian Socialists Francis Bellamy. His partner, James B. Upham, was actually the creator of the Salute, which was to hold your arm out straight toward the flag, with your palm facing up. Feeling that the palm up was award, the Salute was modified by the public with the palm down. Later in the 1920s and 1930s, the Italian fascists adopted a salute based on the Roman Empire salute that was also adopted by the Nazi party soon afterwards. 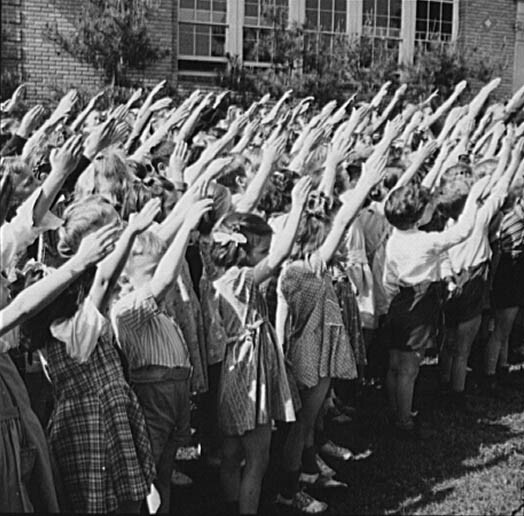 The salute was nearly identical to the Bellamy Salute. After the attack on Pearl Harbor, the salute was officially changed by Congress in 1942 via the “Flag Code” to the hand over the heart gesture still in place today. 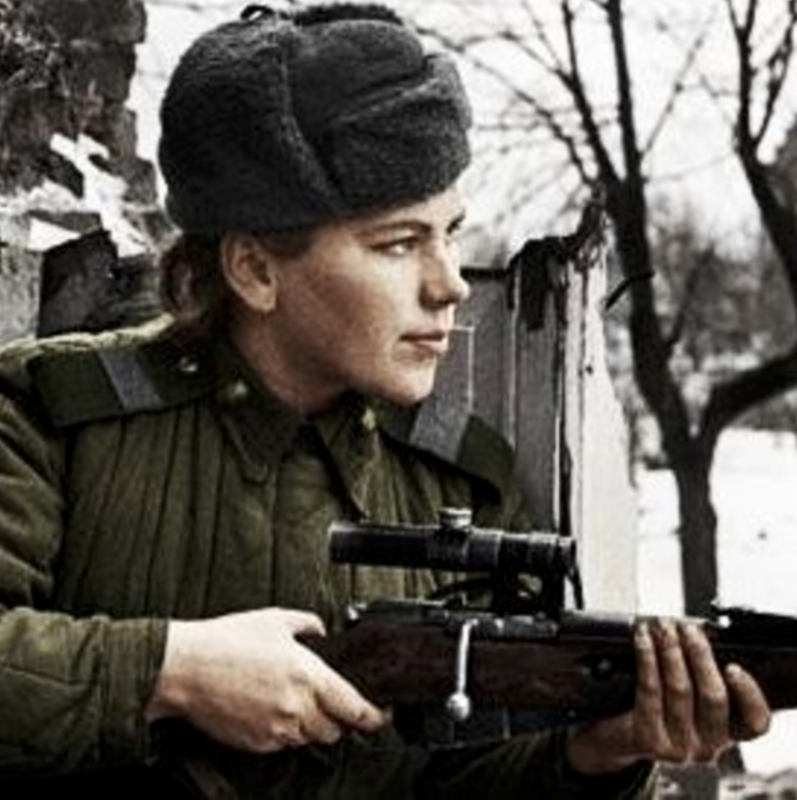 Roza Shanina was Soviet sniper during World War II who became the first female to be awarded the Order of Glory. She was nineteen, beautiful and as deadly as any soldier could be. Shanina volunteered for the military after her brother was killed in action. It was not uncommon for the Soviets to put women in the position of sniper, as they found that the skills required of a successful sniper fit women well. Snipers needed patience, aerobic conditioning, and deliberacy. Shanina proved herself superior in all of these areas, even capable of hitting “doublets” (hitting two targets by two rapid shots). She garnered the nickname from the Allies “The Terror of East Prussia” and had 54 confirmed kills. She was killed in combat while shielding a wounded commander, but her legacy lived on. Her combat diary was publish in 1965. Military Machine compiled these World War 2 facts. 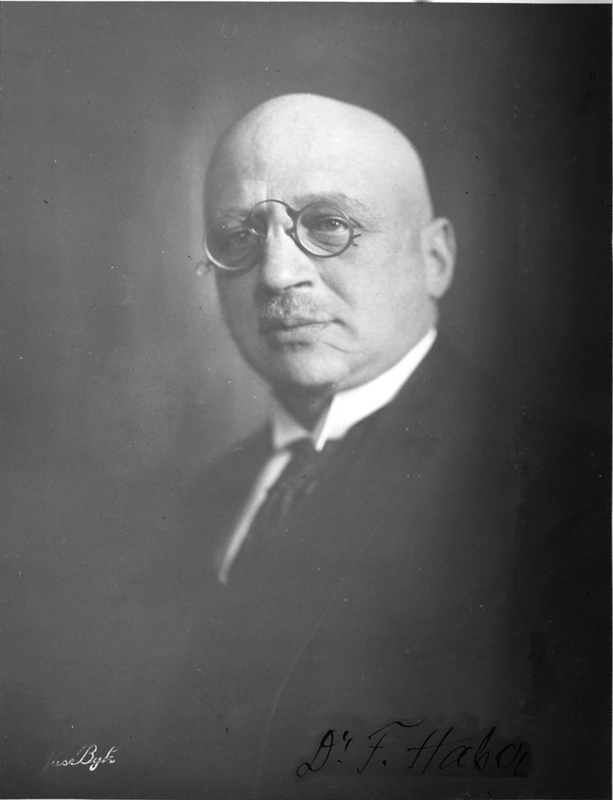 Fritz Haber was a Jewish born chemist who’s contributions to science profoundly changed how the world works. He was anxious to solve the problem of feeding growing populations and he would make a breakthrough in 1909 when he discovered a way to create fertilizer using nitrogen and hydrogen. It would be known as the Haber-Bosch process and it was utilized in large scales, creating huge crop yields and diminishing the fear of famine for countries all over the world. It has been called the “the most important technological invention of the 20th century”. Haber was also consumed with proving his patriotism to Germany, which led him to assist in creating chemical weapons for the military during WWI. During the 1920s, he was also involved in developing pesticide gases. Once anti-Semitism began spreading through Germany in the 1930s, he was no longer welcomed at his lab. Haber went into exile heartbroken and died of a heart attack in 1934. In a turn of tragic irony, the Nazis later used his pesticide gases in the creation of Zyklon B, the chemical used to murder millions of Jews including some of Haber’s own family. Not all deaths during World War II could be blamed on military aggression. 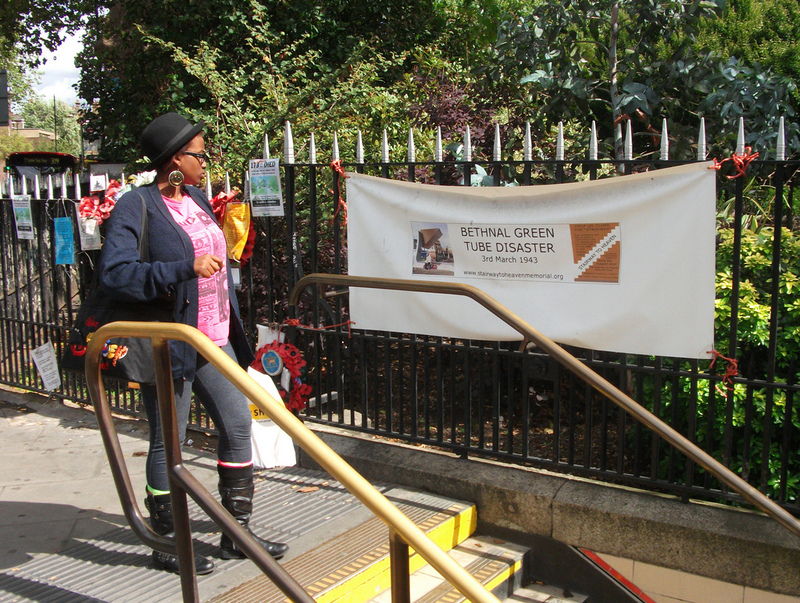 One example is the Bethnal Green Tube disaster in London. In 1943, the Bethnal Green Tube, an underground train station, was being used as a bomb shelter for civilians to protect from the Luftwaffe. The shelter was used often as it was one of the only deep level stations in the area and it could hold up to 7,000 people. Civilians had become accustomed to the air raids and would remain close to the shelter when they knew bombing was likely. On the day of the disaster, warning sirens began to ring and civilians flooded the already packed shelter. The steps were wet with rain and the area was lit only by a 25-watt lightbulb, making the descent into the shelter extremely treacherous. A woman holding a child slipped at the bottom of the stairs and created a devastating human domino effect. The result was 173 people killed after people tumbled on top of one another. It is said that the woman who slipped survived, however her child did not. The safety of Prime Minister Winston Churchill was of top priority to England, and great lengths were taken to ensure it especially during World War II. The rumor of his so called traveling “Life Pod” has been a source of attention lately and it’s important to set the record straight. Churchill’s doctor suggested that flying anywhere over 8,000ft could cause heart problems for the Prime Minister. 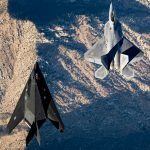 In this time, aircrafts were not pressurized in the same way we enjoy now, but it was still considered safer to fly at higher altitudes due to the reduction of turbulence and to be farther out of harms way from ground weapons. 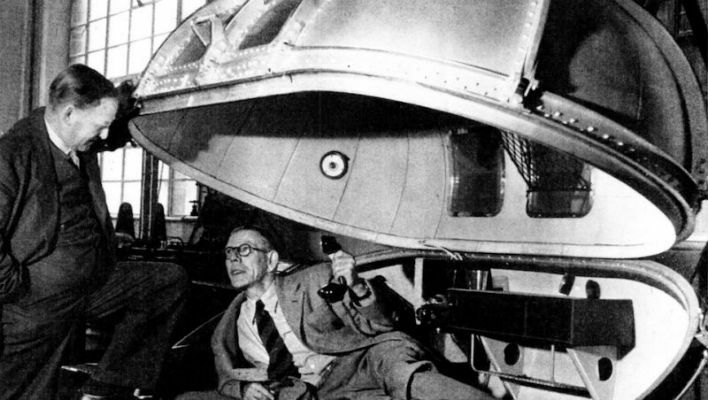 Therefore, there was an aluminum pressurized pod built to be placed within the fuselage of the aircraft that would allow Churchill to fly comfortably and safely at higher altitudes. It had a sophisticated intercom system and eight windows. As it turns out, the pod was too big and too heavy to be practical and was never actually used. World War II had its fair share of miraculous survival stories, but American Sgt. Alan Magee’s is one for the books. During a bombing raid on the German U-Boat arsenal in St. Nazaire, France, Magee’s plane caught fire at 20,000ft. He was able to jump out of his aircraft but was without a parachute, which was unfortunate to say the least. He ended up falling through the glass ceiling of the St. Nazaire railway station. He awoke to a German doctor working to save his arm among his array of other injuries, and Magee eventually made a full recovery. 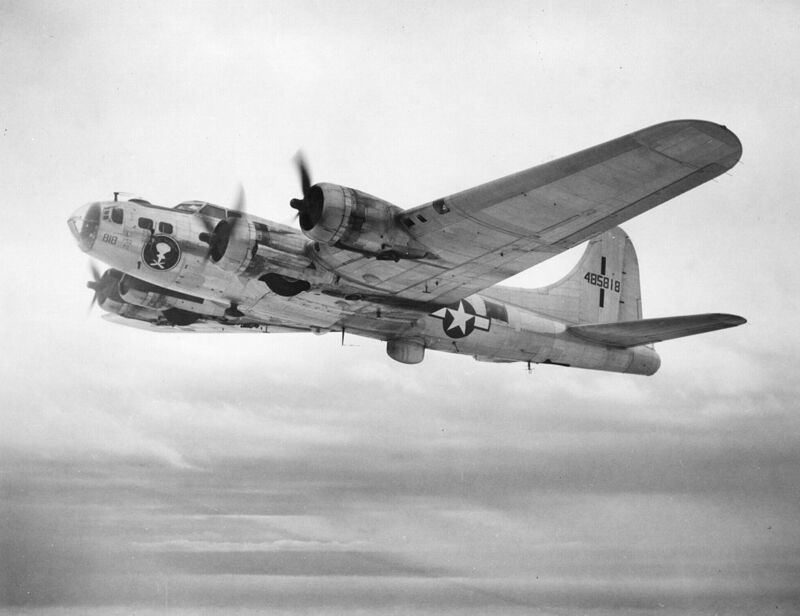 Ironically, Magee’s B-17 aircraft’s nickname was Snap! Crackle! Pop! as the Captain who flew the craft from the US to England had worked in the Kellogg’s Co. factory before the war. The name turned out to be quite fitting. Magee lived to be 82 years old. Military Machine compiled these World War 2 facts. Of all the names of soldiers enlisted in the US Military during World War II, perhaps the most unexpected would be one with the last name of Hitler. But, this was in fact case. William Patrick Hitler, nephew of Adolph Hitler, fled to New York after the start of the war in Germany led by his uncle. He was the son of Adolph’s half brother, Alois. William was originally denied entrance into the military due to his family ties, but he would not give up on his desire to fight against Adolph with the Allies. He sent a pleading letter to FDR in 1942 explaining why he so desperately wanted to join the fight. He was eventually granted entrance by the FBI Director himself, J. Edgar Hoover, and went on to be active in the service for three years before being wounded. William Hitler changed his name after the war was over to Stuart-Houston and lived quietly in Long Island, NY. 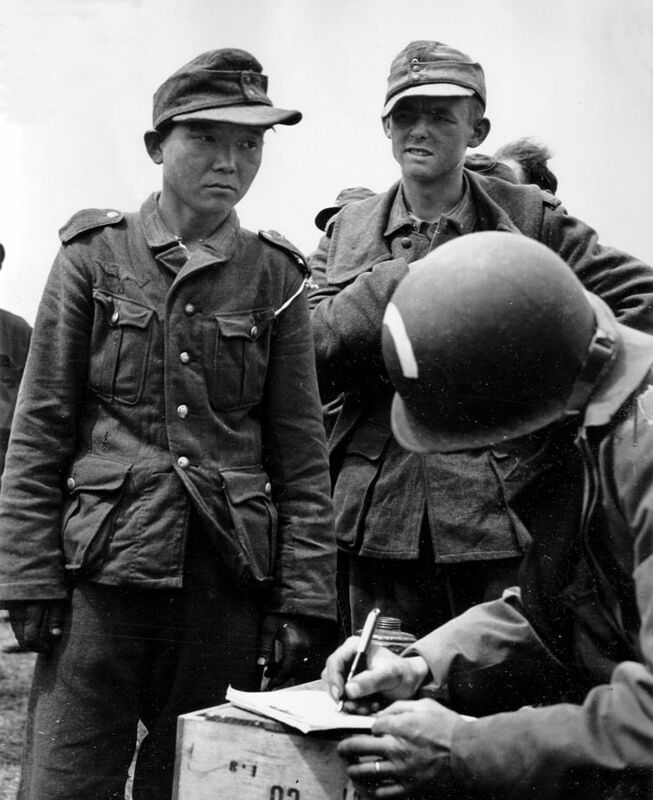 To the Allies surprise, one of the first “German” soldiers captured at Normandy turned out to be Korean. The story of how he came to be on the beach that fateful morning is remarkable, fighting for three different armies (none of which were their own) and finally ending up an American Prisoner of War. He was first drafted into the Japanese army under Japanese Colonial Rule. During the Manchurian Border Clashes, he was captured by the Soviets and forced to fight for the Red Army. Not too long after this, he was captured by the Germans in Moscow and was forced into service building the Atlantic Wall. He was finally taken prisoner by the Americans at Normandy. A movie was made about his journey by a Korean filmmaker, called “My Way”. After the attack on Pearl Harbor in 1941 and the United States’ Declaration of War on Japan, the world was watching to see what would happen next. 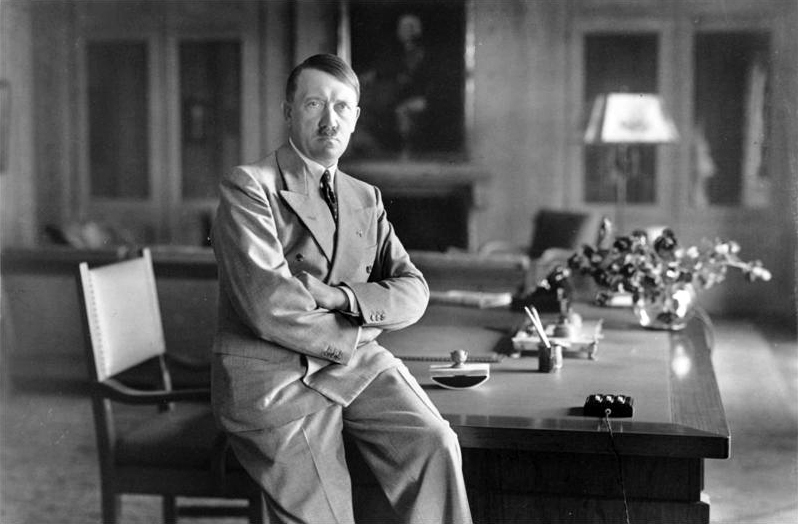 Unexpectedly, and without consultation, Hitler then made a Declaration of War on the United States, which was the only official declaration he made during World War II. He generally believed it was better to make an unexpected attack, rather than waste time declaring war. While he hoped the decision would ensue fear in the West, this declaration was actually received as a triumph for those in power in the US at the time. The people of the US would now be behind the decision to help England in their fight to defeat the Nazis, rather than only focusing our defenses toward Japan. This rash decision would change the course of the war. Military Machine compiled these World War 2 facts. If you enjoyed these historical facts about World War II, you’ll also enjoy learning about these Abandoned Military Bases Around The World.